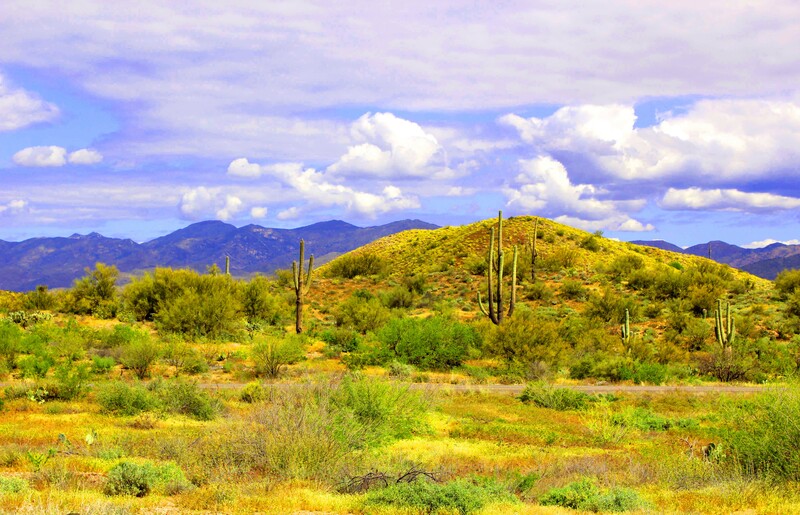 For 10 months of every year the Sonoran Desert, especially the Valley, is various shades of brown and tan with specks of green. 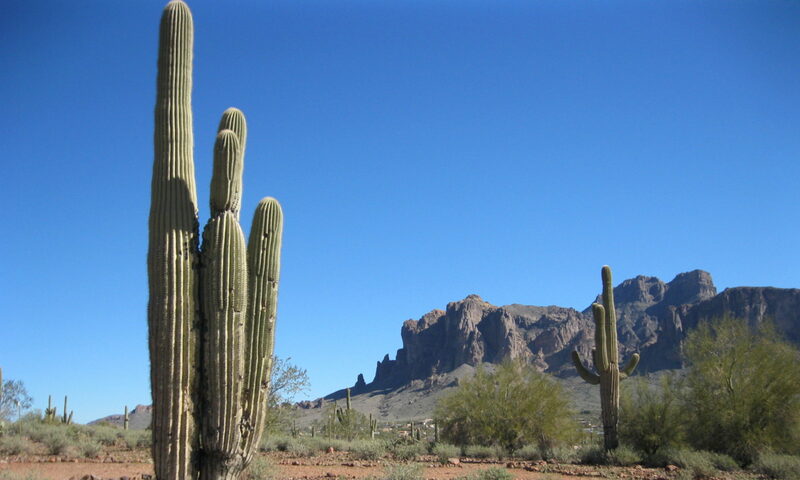 The green, of course, being the saguaro, the prickly pear, the cholla and what we call grass. In spring the ocotillo will sport crimson flowers on their shafts for a few weeks. After monsoon, of course the green desert grasses overtake the barren landscape. But the expanses of green are rare and short. This year has been exceedingly wet. Cold and wet. This is good news for those that love color in the desert. Yes, we have fields of yellow. Orange too. And purple. 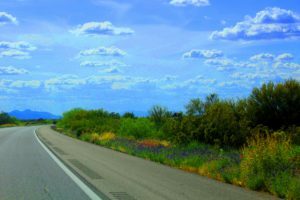 We have been graced with a month of color along our highways. In seven years I have not seen this variety of palette. Fuchsias of flowering cactus, lupines, various genus of daisies, all interspersed with the brittlebush. The browns and tans that sometimes are green are yellow. This is good news, as our water supply has been replenished. Water is somewhat important in the desert. It is also bittersweet, as the greens and yellows and reds will all turn brown soon. We will have no more precipitation until monsoon. As all of the new growth dies, it becomes potential fuel. Wildfires are a real danger as careless idiots toss their lit cigarettes out of their cars. Until and unless that happens, I will enjoy the new and rare colors of the desert.